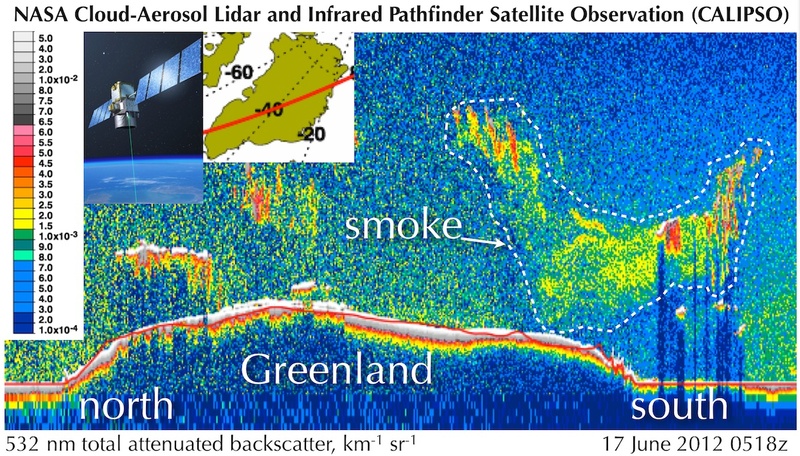 Myself and intern Nathaniel Henry find other similar cases in the CALIPSO data, most are less obvious because the smoke disperses into the atmosphere from its source. In the above case, the source fire was active in nearby Labrador for several days. This entry was posted on Monday, December 31st, 2012 at 11:49 am	and is filed under Dark Snow Project. You can follow any responses to this entry through the RSS 2.0 feed. Both comments and pings are currently closed.